Thank you for your patience as I continue to try to find time to give updates on the site. Thanks to everyone who has reached out to make sure I am still alive, haha! All is well, and hopefully I get the opportunity to converse with many of you. As for an update, I am pursing my MBA and am enjoying the opportunity to dig even deeper into financial markets and strategies. I have been lucky to work closely with faculty and staff who have extensive experience in portfolio trading and a long resume in market studies. It has been very interesting digging into market efficiency and really looking at the data and concluding if abnormal gains in investing can be accomplished and repeated and how... The results are very interesting. I will be sharing a variety of strategies and portfolio theory that we find and study with all of you as well as implementing these strategies in my account and sharing them with you. Markets have continued to act unique this past year as it has since 2008. However, we are still finding many existing and new strategies are finding a lot of success in current trading environments. There are a variety of new portfolio strategies in today's market that allow for diversifying against non-systematic risk in portfolios. We are also seeing momentum trumping several past fundamental valuation methods. The past two years, we have seen just exactly why fallen Angels small cap stocks are the optimal choice for portfolios rather than value growth stocks. Rebounds in companies such as Las Vegas Sands, Citi, and Wynn show just how profitable being 0n the right side of these rebounds can be. I am excited to reignite some passion with the readers of this site... I look forward to some great gains and strategies for this year and hopefully we can share in the success that the markets are sure to bring this year. Happy Trading! Your blog is nice. Your sharing tips are all awesome. All information is relevant. Your Stock tips are relevant for visitors. 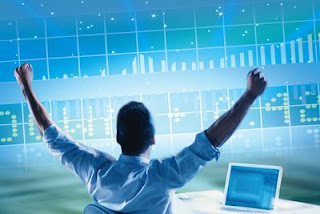 The tips are very helpful to earn some extra money from stock market, i always use Stock tips of experts to earn money from stock market and commodity market. Yes, once again it looks like that world is in recession, every market of although its stock market or commodity market is going down, the values of Indian currency is going down every day. Although this is the worse time in stocks but this is the time for investment that helps to make good profit in the future from this market. khushi Sharma Says: February 19, 2013 at 11:29 PM This comment has been removed by the author. We had big plans replica handbags to go to Greece this summer. Athens. Santorini. Ancient ruins meet pristine hermes outlet blue beaches. Moussaka. The perfect triumvirate ofhistory, culture, and seaside fendi outlet frolicking. We have no family to watch theboys for 10 days so we figured instead rolex submariner replica of waiting 10 more years, we pack up the airborne minivan and make it a family road trip. Packers Movers Says: April 17, 2016 at 2:39 AM This comment has been removed by the author. Will My Breasts Backslide To Their Accustomed Admeasurement If I Stop Appliance Miracle Bust? Different ladies will aswell be uneasy if the change that they discover in their uneasiness is anon angered to their use of Miracle Bust. That is, whether they stop gadget Miracle Bust mid-section expand cream, will their mid-sections slide into sin to their balanced size, or pro? Colonic watering system has been depicted as an "indiscreet" method as it conveys the danger of genuine damage and has no demonstrated advantage. The shopper promotion news program Marketplace led a customer trial with three ladies on the adequacy of two Colon supplements versus fiber. janifer marks Says: July 24, 2018 at 4:00 AM This comment has been removed by the author. It is great that you share with us such information, for me such things are very helpful.You describe it well. I'm glad you wrote this in the forum.